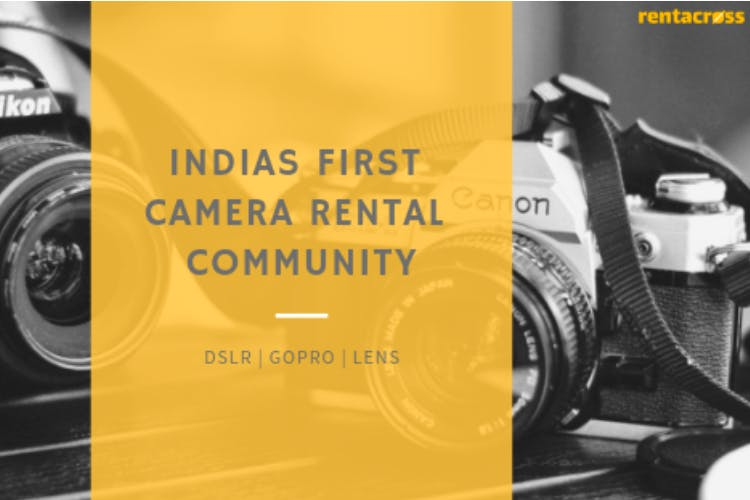 RentAcross - India’s first camera rental community is here to help you with your photography goals. Rent DSLRs, drones, Go Pros from fellow photographers and photography enthusiasts in your city! If you have an expensive product and do not use it on a daily basis, why not lend or rent it to someone in need? Shrikant and Vijay, Founders of RentAcross, started with the thought “Sharing is caring”. So, if you intend to do test waters with photography but are restricted by cameras and equipment, RentAcross is the solution! You can simply rent your preferred gear from their wide range of products available for rent. Nikon D750, Canon 60D, Canon 700D, and GoPro Hero 7 Black are few of the favourite picks from customers. You can not only choose a camera body but also choose your preferred lenses to rent, which ranges from portrait to telephoto lens. Talking about safety and security, RentAcross screens all their renters and rentee to ensure that the equipment is in the right hands with good quality. RentAcross also verifies everyone, who is registered with them. Customer satisfaction being the highest priority for this duo they make sure the services are available 24x7. So, if you’re looking for photography gears to explore photographic skills in a pocket-friendly budget, get in touch with RentAcross. The rents on cameras and equipment with RentAcross comes at a very affordable rate and with a wonderful experience. Go check them out now.